Our deepest desire for people, is that they would hear the Words of Jesus and the Call of Jesus and respond, "SIGN ME UP." We want people to meet Jesus and sign up as disciples. 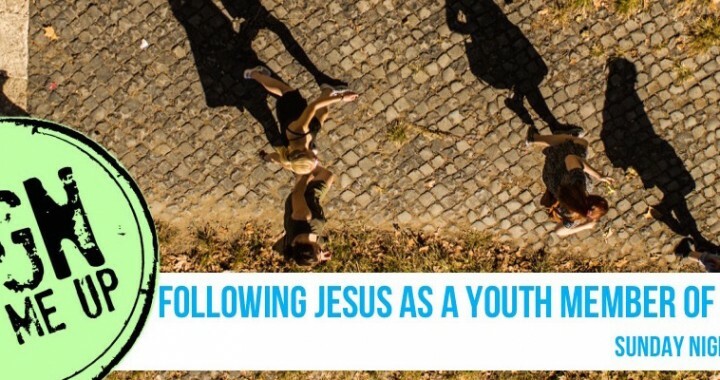 Following Jesus is an awesome adventure, but life is complex, and sometimes trying to figure out who Jesus is, why he is important, and how should I follow him as a teenager is difficult. So this Fall, on Sunday Nights, Pastor Andrew will host the PYC to discuss Jesus, Christianity, and Church from the Youth perspective. If you've never joined Oakland and/or been baptized, this will serve as "confirmation" class. Posted in Events and tagged Confirmation, Equip the Youth, Jesus is Better, More and Better Disciples, PYC, Sign Me Up, Youth Disciples.